Amazing Marcy! Not sure how you manage to keep up with so many parts of the puzzle @ once, but am eternally grateful for the work that you do! Can someone who is not a lawyer still be appointed to the Supreme Court? i’m glad to be able to read something substantive rather than the detritus from the trump derecho. 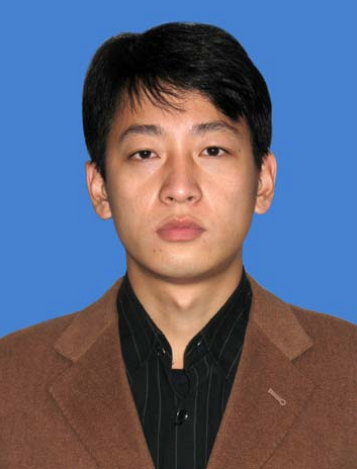 speaking of that wind, though, it does occur to me that the doj publicity about north korean citizen park jyn huok might be connected to the trump admin’s recent follies with n. korea and nuclear arms which had predictable unfruitful results, but has surprised and annoyed the u.s. perpetrator of those follies. in any event, this doj activity must surely have some connection to the doj/fbi harrassment of marcus hutchins (malware tech) which ew has also been covering. as for n. korean responsibility for eternal blue/wanna cry, that may be the case, but n. korea is very isolated and needs anti-u.s. support to survive. i have read the russian government provides some of this support and now china. finally, and most importantly for me, i have long been annoued by the extremely muted response of the obama administration to the russian attack on the u.s. election process of 2016. the conventional explanation is that they did not want to be appearing to be favoring clinton. that may be so, but a lot of the u.s.response could have been covert, a very powerful covert u.s. internet/digital attack on russia and any of its collaborators (moldavia) using the capability of the nsa activity. this did not happen. why? in my not so well informed mind, one explanation for the obama admin’s very timid response to the russian attack may have been the shadowbrokers’ summer 2016 public boast about having control of the nsa’s most powerful microsoft pc systems intrusion tools. a boast that coincided with months of russian efforts to interfer in the u.s. federal elections, damaging the candidacy of secretary clinton and boosting the candidacy of developer donald trump. i worry that the obama admin’s timidity may have been because it understood very well what shadowbrokers had taken possession of, and, far more importantly, what damage the russians (or an ally acting for them) coiuld have done across the globe. in terms of damage to organizational operations, the results could have been analogous to a barrage of low-level nuclear weapons being detonated on targets across north america, europe, and asia, affecting at the least many tens of millions of people. look, hotshot. i come here every day to get a corrected version of current events. 90% of what i write here is derivative of posts here, of comments here, or of cites i bring here. the other 10% (or less :) ) is reasonably imaginative or creative and, i hope and intend, of modest value. given that you seem to have a remarkable memory of the ew’s remarkable productivity, why don’t you go back and pick out those quotes that demonstrate your thesis and post them here. keep in mind democritus and dalton are both credited “atom” in history texts. Whoa. Not intended to be an insult. Just saying I think you’re on to something. the nytimes has put together the most readable tale of the russian intervention in 2016 election and the trump-putin dance that led to trump’s squeaker of a victory that i have read. no doubt there will be critiques of its details, but for ordinary citizens like myself it is an excellent history primer. what is missing is a sharp critique of journalistic obtuseness and folly in the midst of the trump-putin dance, in particular the obtuseness of the nytimes with its stable of vaunted reporters and its experience with its own folly in its multi-decade effort to destroy the reputation of one or the other of the clintons. once again the nytimes follies bergere overtly helped to install the wrong person for the job in the u.s. presidency. there is a graph in the article that is very instructive, a complex chronolgy entitled “timeline of parallel threads”. the first hint of something like this that i read was an nbc article some months ago (which i cited here) that mentioned that trump reps had met 73 times with russians – a remarkable, damning number, but putting together such a complex chronology was a work for hercules (or arachne). a part of that complex chronology that bothers me is the “fbi investigation” part. it seems to me that its start, listed as early 2017, was much too late. i thought that the fbi and comey were aware of russian meddling from mid-2016 on. given that other elements of the american intelligence aparatus were well aware, it does not seem credible the fbi did not know and start poking around. certainly steel was annoyed at what he considered fbi footdragging given his conversations with fbi officials, e.g., ohr, but as i recall comey eventually joined an intelligence community joint statement in fall 2016.